The Royal Pines Championship Golf Course hosted last year’s Australian PGA Championship and this year you will see a complete reconstruction of the first nine holes, which was undertaken by Graham Marsh. 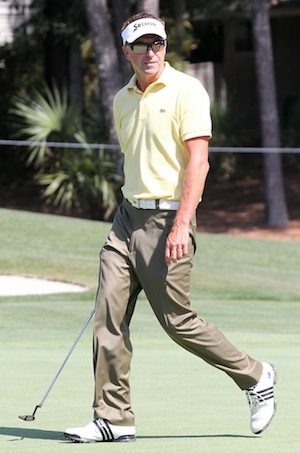 Adam Scott 2/1 – with SportingBet – is the best odds you are going to get and Adam is without a doubt the player to beat, but at those odds I think we will look else where. 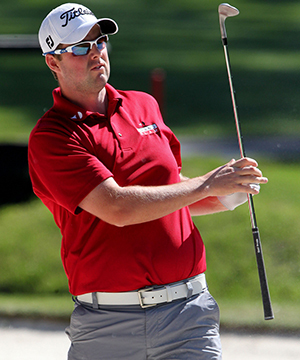 Marc Leishman 16/1 – with Bet365 – finished just outside the Top 10 in this event last year and a week later had another Top 10 at the Australian Masters. This will be Marc’s first event in Australia this year but he comes into this week on the back of a Top 10 finish at the WGC HSBC Champions. Leishman had a great purple patch in the middle of the year with his Top 5 at the Open Championship, which he followed up with a third place at the WGC Bridgestone Invitational and although he maybe a bit rusty I think we may see him challenging here again this week. 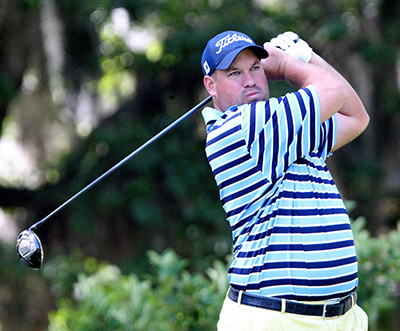 I am going to stick with Brendon De Jonge 25/1 – with SportingBet – who had a Top 15 finish at the Turkish Open where he opened with a round of 65, this came on the back of a runners-up at the McGladrey Classic, where he shot a 64 and had another final round of 65. De Jonge a week later had a Top 15 finish at the CIMB Classic again firing another 65 along the way and after a couple of weeks of acclimatization and a Top 40 finish at the Australian Open, I think we may see the Zimbabwean challenging here again this week. Brett Rumford 28/1 – with PaddyPower – was one of my tips for the Australian Open and after his Top 5 finish in that event his odds will be slashed this week, but I am sure the lad from Perth will want to keep his current run of finishing inside the Top 20 in the events he’s played in his homeland this year. Brett has not had the greatest of seasons on the European Tour this year, but he seems to be finishing off the season in confident mood and I expect him to be challenging again this week. Robert Allenby 33/1 – with BetVictor – has shown he still has what it takes to compete especially on home soil where he has had two Top 10 finishes at the two events he’s played on the Australian PGA Tour this year. A ninth place at the Masters was followed up with a seventh place a week later at the Australian Open and after a weeks break I think he will be ready to go again and keep that run going. Another player who has played well over the last couple of weeks is Aron Price 66/1 – with Coral – who has had two Top finishes at both the Australian Masters and Open and will be looking to make it a hat-trick this week and if he keeps the progression going of 10th, 5th …. Aron is not new to professional golf and has played on the PGA Tour after gaining his card on the web.com tour where he currently plies his trade after losing his PGA Tour card in 2011. One player who is enjoying the end of season events is Nick Cullen 66/1 – with SportingBet – who won the Australian Masters, and after a shacky start and third round at the Australian Open a week later he recovered well to just miss out on a Top 25 spot. Nick seemed to be on the verge of doing really well after winning the 2012 Indonesia Open, he followed that up by winning the Queensland Open a year later. The setback came with his appendicitis and had to pull out of last year’s Australian Open, but it looks like the lad from Adelaide is getting back on track.